Of the many prestigious universities around the world, some have storied histories that go back over a century while others have emerged more recently. One of the newer universities, the University of Haifa, stands out as one of the most vibrant educational facilities, offering students from all around the world a chance to excel in a multicultural climate. Located in Haifa, Israel, the University of Haifa was founded in 1963. Originally, the school was part of the Hebrew University of Jerusalem, expanding current educational services to Mount Carmel. At this time, Israel was still a relatively new country with fewer higher education opportunities. During its first year, the University of Haifa welcomed 472 students and gave them the choice of studying Humanities or Social Sciences. Some of the majors included Biblical Studies, Jewish History, Sociology and Arabic Literature and Language. The first graduating class received diplomas in 1967. Even with these humble beginnings, the University of Haifa saw rapid growth. Within a decade, the school became substantially more popular, appealing to a wide cross section of students. In 1972, the University of Haifa separated itself from the Hebrew University of Jerusalem and became the fourth university in Israel. Since that time, the University of Haifa has continued to thrive. Currently, the school is home to over 18,000 students, including undergraduate and graduate students. The academic programs have expanded dramatically as well with six general faculties. In addition to the Humanities and Social Sciences, undergraduate students can now pursue degrees in Education, Health Studies, Law, Science, Social Studies and Social Welfare. Although the original schooling options were all undergraduate degrees, the University of Haifa has continued to develop graduate level programs to appeal to a wider range of students. Now students can choose the University of Haifa for a number of advanced graduate degrees, such as in the Graduate School of Management and the Continuing Education and Extension Studies program. While many of the degree programs are highly regarded, of special note is the Leon H. Charney School of Marine Sciences. In this program, students can study Marine Biology, Marine Geosciences or Maritime Civilizations. To better support student learning, the Leon H. Charney School of Marine Sciences offers some elite facilities, including the Caesarea Center. This impressive center even has its own diving facility, which provides extended learning and research opportunities in the region. 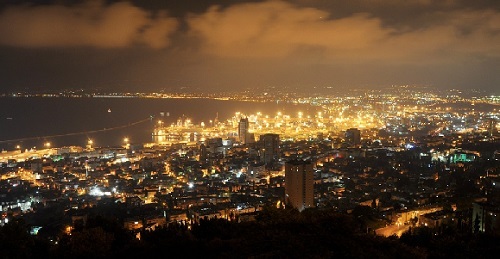 Many students are drawn to the University of Haifa for its multicultural approach. The university strives to offer educational opportunities to everyone, and there is an emphasis on cooperation between Jewish and Arab students. Additionally, students at the University of Haifa are also Christian, Druze and entirely secular. The university even has an international school, which attracts eager learners from around the globe. With all this, the University of Haifa has a lot to offer. Students of all interests and backgrounds can find a place at this unique Israeli institution.